Auto Shopping Online: Is It the Best Way to Buy a Vehicle? You can shop for just about anything online, including your next vehicle. The Internet makes it easy to shop around and learn about your different options so you can find the perfect vehicle for your needs. It’s also the best way to learn about the different features offered for each make and model you’re interested in buying. You can review all the features that you feel are the most important and then you’ll know exactly what you want when you go to the dealership. Using the Internet for researching vehicles is beneficial but many consumers are taking it one-step further by making the actual purchase online, without visiting the dealership first. The reason for this has a lot to do with the benefits that shopping online for your next auto offers. One thing that is encouraging people to auto shop online, is that you can find many great deals that you can’t get when shopping in person. Auto dealerships recognize that many people prefer shopping online and so they’re offering special incentives for these consumers. You can find many discounts that will save you money on your auto when you finalize the deal using the Internet, making it something that you should at least consider. 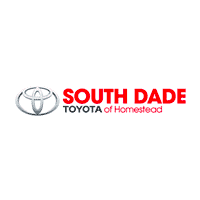 When looking around our site, you’ll notice that we offer a number of South Dade Toyota incentives to help you find the best deal on the vehicle of your choice. We also encourage you to visit our dealership in person to learn more about us and to check out your different options in person. Buying online is also convenient, especially for those short on time. You can shop anytime day or night when it’s convenient for you. This is much easier and less time consuming than walking around the car lot and you may have more variety to choose from when you shop and buy your vehicle online. However, there is a downside too. There are many benefits to auto shopping online but there are two disadvantages to buying your vehicle online that you should be aware of. First, you don’t get to test drive the vehicle before you make the purchase. If you’ve already owed a specific vehicle and want to purchase one just like it, then it might not matter. Otherwise, test driving the vehicle before you buy is very important. It’s the only way to be certain the vehicle is really right for you. It’s possible to love a particular type of vehicle until you drive it. During the test drive, you may learn that there is not as much legroom as you expected or you may have trouble reaching the pedals. You may not like the way the vehicle handles or you may find some other problem that you didn’t expect, so it’s always a good idea to test drive the vehicle before you buy. Another problem is that if you plan to use your current vehicle as a trade in, you’ll have to take it to the dealership for an inspection before finalizing the deal anyway. In this case, you might as well wait to make the purchase. Shopping for and buying a vehicle online has some nice advantages such as convenience and great incentives but visiting the dealership in person does, too. How do you feel about buying a vehicle from online? Is it something that you would consider or would you whether buy your automobile in person? 0 comment(s) so far on Auto Shopping Online: Is It the Best Way to Buy a Vehicle?